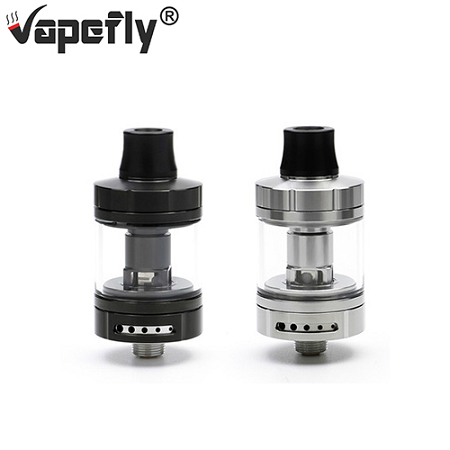 The Vapefly Nicolas is a revolutionary mouth-to-lung style tank. The BVC coils use a push-and-pull system for easy coil swapping. The adjustable bottom airflow has nine options for precise control of draw and vapor production. The Nicolas includes a 0.6 ohm coil (rated 18-25W) and a 1.8 ohm coil (rated 9-13W). *There is no warranty, returns, refunds or exchanges on this item.